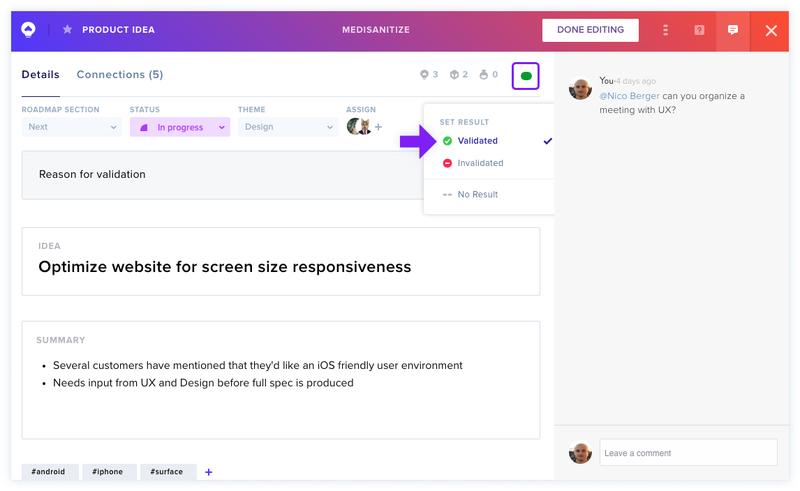 The ability to see whether your Idea has been Validated or Invalidated is a key feature of GLIDR, letting you understand at a glance whether the Evidence you have collected supports your Idea or not. The Canvas above shows a mixture of Trending Scores and Validated Ideas. The colored icons next to the idea indicate which way the Idea is leaning, while a green tick or red dash indicate whether an Idea has been Validated or Invalidated. As you collect Evidence and carry out Discovery tasks and link them to your Ideas, you will see that the Idea starts to Trend as Confirming, Neutral or Disconfirming. This appears as a small green, yellow or red icon above the Results menu. To change the Result, click the Results menu dropdown and select whether your Idea has been Validated or Invalidated. It's up to you when to set the Result, but you can go back and change it at any time. 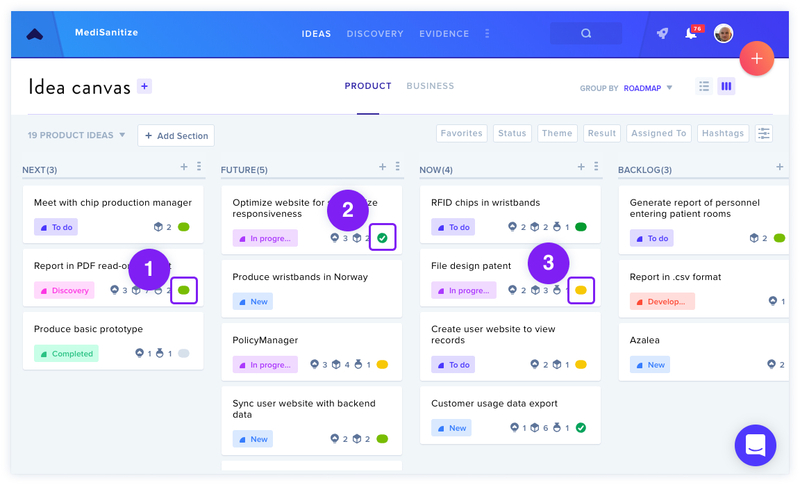 List View is a quick and easy way to check how your Ideas are doing. As well as seeing the Trending Score, you can also change the Results in-line. As you will see, the Canvas displays a mixture of Trending Scores and Results, indicating that more Evidence needs to be collected and Discovery tasks carried out before Validating. You can find out more about the Trending Score here.